Differentiation is not new or the latest education fad; it has long been the natural and intuitive response of many elementary teachers. At the same time, all teachers have room to "upgrade" their approach to planning for and meeting student needs. 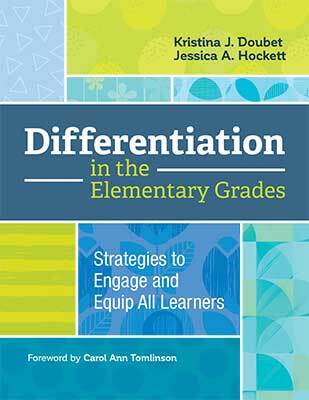 Join Jessica Hockett, consultant and coauthor of Differentiation in the Elementary Grades: Strategies to Engage and Equip All Learners to explore five commonly adopted practices in elementary classrooms that can impede or prevent true differentiation. In this informative webinar, attendees will gain insights about each of these practices and learn principles and strategies for "upgrading" to more sophisticated applications of differentiation. This session will integrate concrete examples that are applicable to K–5 settings.